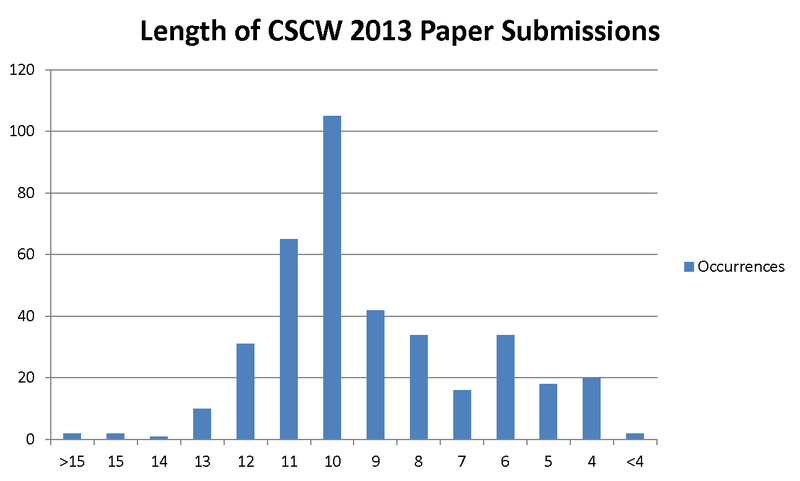 For CSCW 2013, there was no arbitrary minimum or maximum paper length. Rather, we asked authors to use the space they needed, and reminded them that the more space they used, the higher the burden on reviewers. The histogram below shows how authors responded. 10 pages was by far the most common length, with the majority of the papers distributed around this length. Observe also that there was not much enthusiasm for the old Note length submission: only about 5% of submissions were 4 pages, and about 17% were 6 pages or fewer. With the first round of decisions made, we can provide more data concerning the effect of submission length. 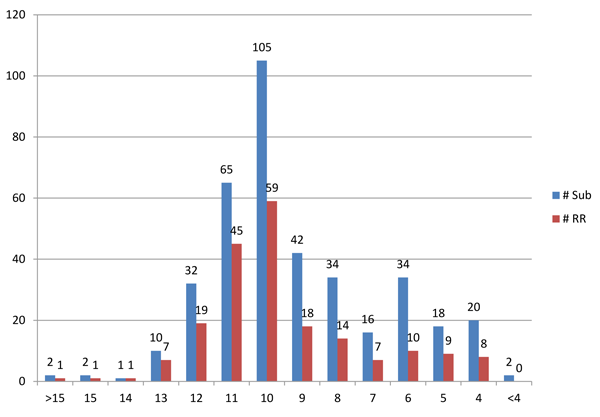 The histogram below shows for each submission length both the the number of submissions (in blue) and the number of submissions that were given the opportunity to Revise & Resubmit (in red). These obviously are intermediate results (and we will publish final results when available). However, so far the pattern is that shorter submissions fared worse.